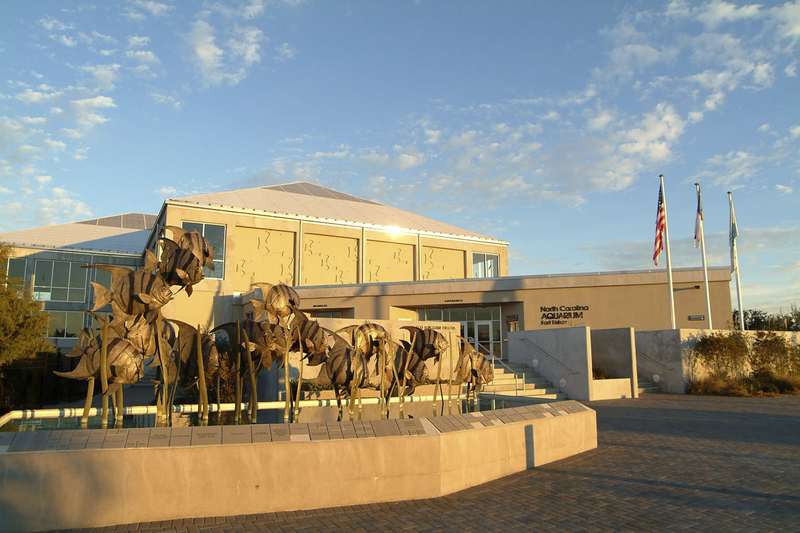 The N.C. Aquarium at Fort Fisher connects visitors with the wonders of nature and aquatic wildlife. The Aquarium and its sister facilities, the N.C. Aquarium at Pine Knoll Shores, the N.C. Aquarium on Roanoke Island, and Jennette's Pier in Nags Head are dedicated to inspiring appreciation and conservation for aquatic environments in North Carolina and around the world. The three Aquariums initially opened as Marine Science Centers in 1976. The facilities were renamed as Aquariums in 1986. In the late 1990s and early 2000s, the Aquariums underwent expansions to their current dimensions. Jennette's Pier in Nags Head joined the Aquariums in 2011. The Aquariums and Pier are owned by the state of North Carolina and are administered by the Department of Natural and Cultural Resources (NCDNCR). The N.C. Aquarium at Fort Fisher is one of only 230 accredited members of the Association of Zoos and Aquariums (AZA), a non-profit organization dedicated to the highest standards in the areas of conservation, animal welfare, education, science and recreation. In addition, the Aquarium is an AZA partner in SAFE: Saving Animals from Extinction. The Aquarium received initial AZA accreditation in 1990 and received its most recent inspection in 2016. We are located in Kure Beach along the coast of southeastern North Carolina, near the convergence of the Atlantic Ocean and the Cape Fear River. The Aquarium is 20 miles south of Wilmington and a short ferry ride across the river from Southport. Sharks, rays, schooling fish and a green sea turtle swim in the Cape Fear Shoals. This two-story, 235,000 gallon display is the largest exhibit at the NC Aquarium at Fort Fisher.